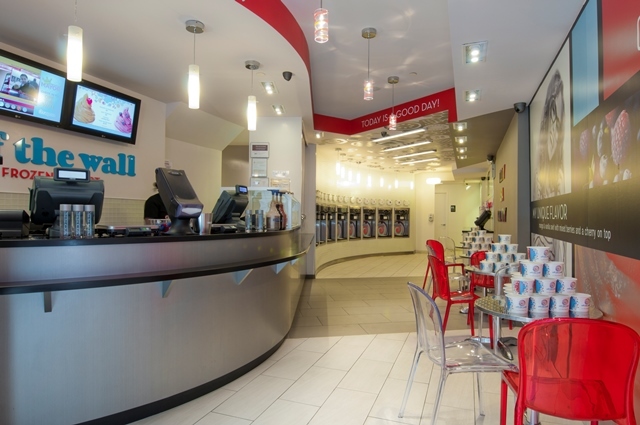 You read right, in celebration of their GRAND OPENING, Off The Wall is giving away FREE YOGURT. 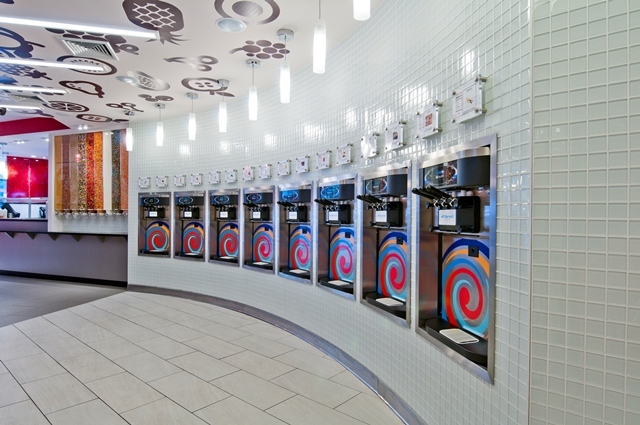 Just like their other locations, this shop will offer 16 unique low calorie yogurts on tap including signatures such as Peanut Butter Blast, Euro Tang, and Blueberry Muffin. 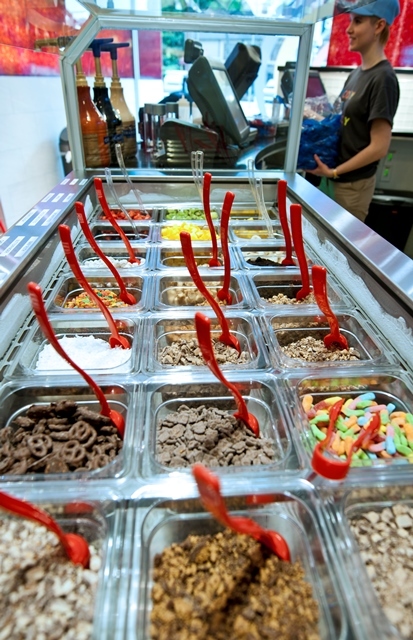 The impressive toppings wall will make anyone feel as though they have stepped into Willy Wonka’s personal workshop and encourages customers to get creative with ingredients making anything from Apple Pie a la mode to Peanut Butter & Jelly Crumble. Off the Wall also offers specialty coffee drinks, artisanal frozen yogurt cakes and handcrafted s’mores. Additionally, they will launch the “Cultured Artist Series” revealing their specialized floor to ceiling chalk art wall, curated by two local students from the High School of Art and Design; Jade Babolcsay and Briget Villanueva. Each month, Off the Wall will feature a new chalk painting in the “Cultured Artist Series” designed by a local community member; including students and artists alike. Interested parties can submit a sketch of their piece to be considered for feature. All artists selected will get a special “gallery” debut at one of the three Off the Wall locations in Manhattan. So head on down and take part in the festivities. I don’t know about you, but ….Free is Me. This entry was posted by Rosemarie on Monday, April 1st, 2013 at 8:28 pm	and is filed under Dessert, Events, Greenwich Village, Manhattan, Union Square, West Village. You can follow any responses to this entry through the RSS 2.0 feed. You can leave a response, or trackback from your own site.